Love this season’s version of my fave PS1, this time in deep navy. Especially that it’s not black. 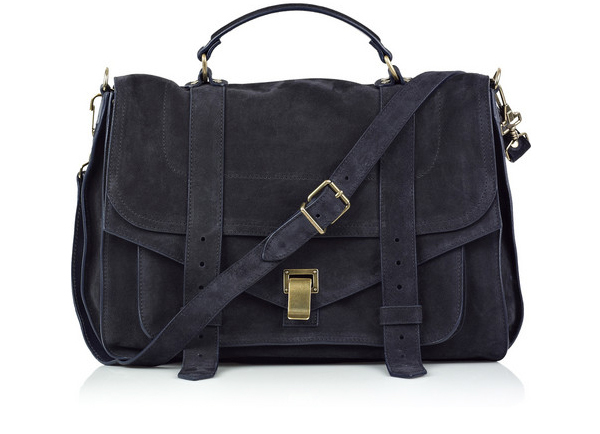 PS1 Large Suede Satchel, at Net-a-Porter. Wow! That bag is gorgeous!